Using the award winning OST™ (Omega Suspension Technology), a process that fully suspends active ingredi­ents in Omega Oils, Platinum Easy Multi is easier to swallow, digest, absorb and more stable in a liquid soft gel. 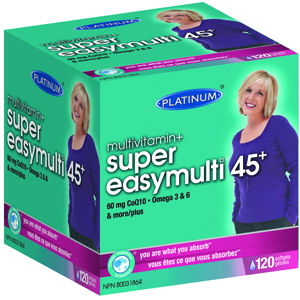 Super Easy multi Plus contains a powerful combination of antioxi­dants proven to fight age-related degenerative diseases and reverse the signs of aging from inside out. These antioxidants help to neutralize free radicals, unstable atoms that cause damage at the cellar level, ultimately causing the body to age. 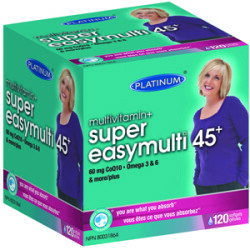 This is not your average medio­cre multivitamin, this is the ultimate multivitamin designed specifically for HIS and HERS. Men and women are made up differently and thus demand different formulations and Platinum Naturals has answered. Additionally it is no secret that in your 40’s is a good time to start thinking about taking CoQ10 and Hawthorn Berries to protect the heart and Platinum has it. You wouldn’t want to buy a house with a faulty foundation. Don’t let your health slip through the cracks, you are covered with Platinum! 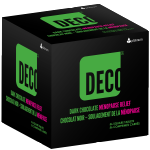 DECO™ By Platinum Naturals NEW! 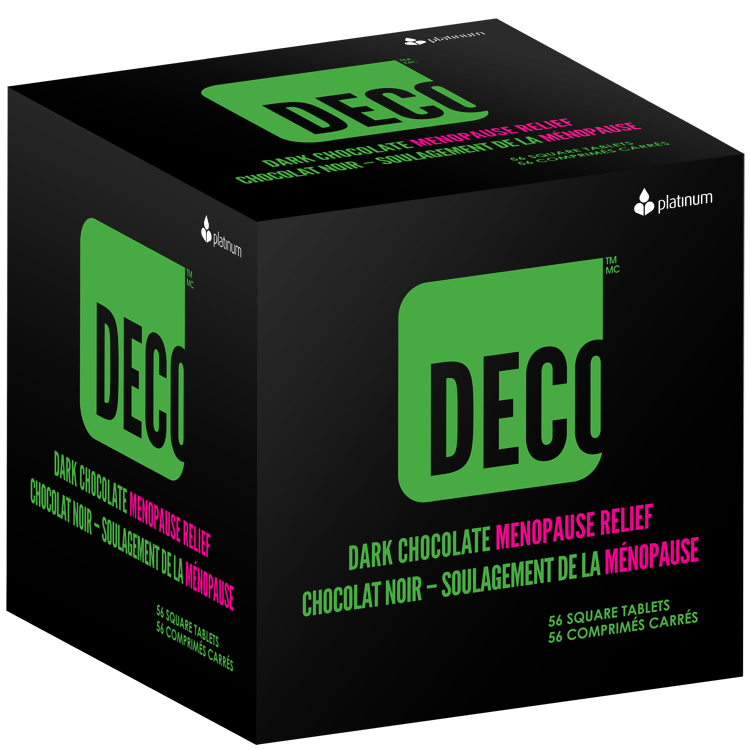 Dark Chocolate Menopause Relief! Certified for Sport™ by NSF International. FREE of Banned Substances! You work hard, you play hard and you train hard! You constantly raise the bar. 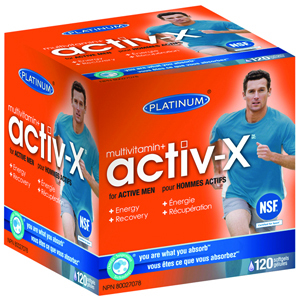 You need every advantage you can find to push your body and your mind to new limits, you NEED ACTIV-X. This multi contains a unique blend of anti­oxidants, omega oils and adaptogens in addition to essential vitamins & minerals using the Omega Suspension Technology to maximize absorption in a soft gel. Added adaptogens give athletes or high stress individuals the boost they need to improve physical & mental performance. Separate formulas for men and women. Parents, if you are sending your kids off to university for the first time, Platinum Activ-X has every­thing they need to help them focus and EXCEL in school. This formula is not just for athletes, but for people who are studying, active and in need of sustained ENERGY. Fueled by Platinum, Ashleigh McIvor WINS Gold!